Graeme Wood revolutionised the travel industry in Australia when he created the concept for Wotif.com in 2000. From his simple and innovative idea, Graeme pioneered Wotif.com’s development into a multi-national group, which employs more than 400 people in offices spread across the globe. Graeme holds a Bachelor of Economics and a Master of Information Systems.Graeme’s background is in information technology, with more than 30 years experience in the field of information systems and software development, beginning with NCR and later IBM. His career as an entrepreneur began in the early 1980s with the first of several technology start-ups. During his seven years at the helm, Wotif.com became one of Australia’s most successful and well-known online businesses, with Graeme and the company winning a multitude of awards and accolades along the way. Wotif comprise offices in Australia, New Zealand, Canada, Malaysia and the United Kingdom to support their growing international presence. 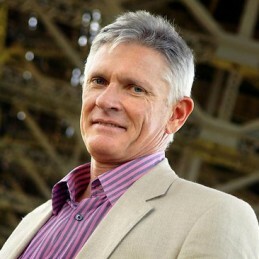 In October 2007, Graeme retired from his role as CEO and Managing Director of Wotif.com, but continues to play a key strategic role in the company as an Executive Director and also maintains a significant financial interest. In his new position, Graeme is focused on developing new business concepts and the ongoing promotion of Wotif.com. Winner of the “Most significant contribution by a large business or corporate” at the Vero Excellence in Business Support Awards 2007. National winner of the Technology, Communications, E-Commerce and Life Sciences category – 2005 Ernst and Young, Entrepreneur of the Year awards. Overall Winner and Winner of Outstanding Achievement by an Organisation in the Services Sector – Premier of Queensland’s SMART Awards 2004. In October 2007, Graeme retired from his role as CEO and Managing Director, but continues to play a key strategic role in the company as an Executive Director and also maintains a significant financial interest. Graeme continues to pursue his interest in technology with his most recent venture being the popular Australian news search engine Wotnews.com.au. As an environmental activist, in 2008 he launched the not-for-profit Wild Mob creating volunteering opportunities in wilderness conservation. The philanthropic Graeme Wood Foundation supports the Centre for Youth Substance Abuse Research at the University of Queensland and also supports programs developing the creative potential of young people in the performing arts.